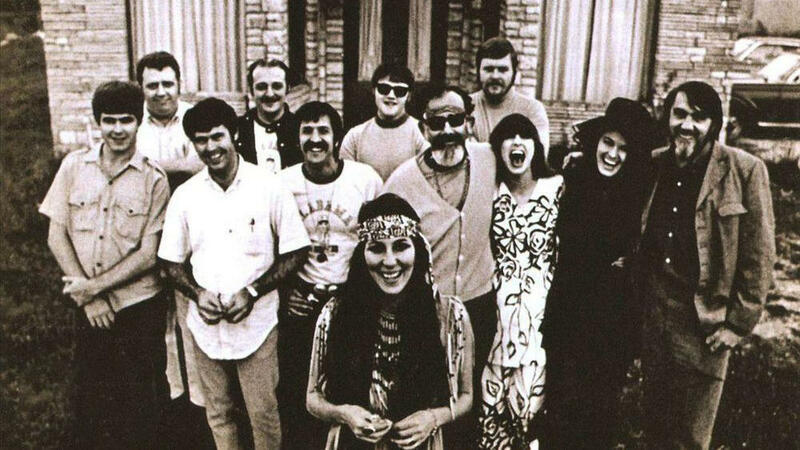 Cher's 3614 Jackson Highway album cover, featuring the Muscle Shoals Rhythm Section, a.k.a. The Swampers. We were recently reminded of the enduring and powerful musical legacy of the Muscle Shoals sound by a new collection, Muscle Shoals: Small Town, Big Sound. This collection brings together musicians including Alison Krauss, Willie Nelson, Chris Stapleton, Grace Potter, Michael McDonald, Jason Isbell and many others performing songs that were recorded in Muscle Shoals, Ala. throughout the 1950s, '60s, and '70s by The Rolling Stones, Bob Dylan, Etta James and more. This new collection was recorded in one of the two major studios, FAME, where many of these original songs were first recorded. The other studio where many classic sides and albums were recorded was Muscle Shoals Sound Studio. During an interview on Weekend Edition in 2003, David Hood, the legendary bass guitarist in the Muscle Shoals Rhythm Section and co-founder of the Muscle Shoals Sound Studio in Sheffield, Ala., told the story of how the musicians came up with the name for the studio. At the time, there was already a studio in Muscle Shoals called FAME, co-founded by Rick Hall, that was already recording R&B and soul artists. Hall and his fellow Muscle Shoals Rhythm Section musicians had left FAME to start their own studio. "There was a Motown sound, there was a Nashville sound, there was a Memphis sound, and I said, 'Muscle Shoals Sound,'" Hood told NPR's Debbie Elliott. "And we all thought that was just the funniest thing. And then after a bit we thought, 'Heck, why not?'" And so began another chapter in the incredible evolution of a city in Alabama with two incredible recording studios — Muscle Shoals Sound Studios and FAME Studios — that would shape the sound of some of the greatest music ever made. The founding Muscle Shoals Rhythm Section, nicknamed The Swampers, included Jimmy Johnson (guitar), bassist David Hood (father of Patterson Hood of the Drive-By Truckers), Roger Hawkins (drums), and Barry Beckett (keyboards). 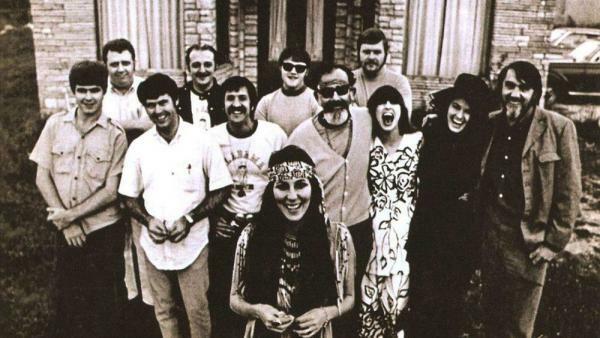 The Swampers were mentioned in the lyrics of Lynyrd Skynyrd's "Sweet Home Alabama," and are featured on the cover of Cher's 1969 album, 3614 Jackson Highway. Rick Hall, who co-founded FAME with Billy Sherrill and Tom Stafford and was known as the "Father of Muscle Shoals Music," passed away on Jan. 2018 at the age of 85. Muscle Shoals and FAME became synonymous with the sounds of Southern soul and R&B. Throughout the '60s, Aretha Franklin, Clarence Carter, Wilson Pickett, Candi Staton, Etta James, The Staple Singers and others recorded there. Over time, the sound and feel and vibe of the studios became a calling card for pop, rock, and country acts to record including Bob Dylan, The Rolling Stones, Bob Seger, Paul Simon, The Osmonds. More recent recordings have been done there by the Drive-By Truckers, Band of Horses, The Black Keys, St. Paul & The Broken Bones and Jason Isbell. Listen to XPN's Spotify playlist of songs that represent the Muscle Shoals sound, recorded at both FAME Studios and Muscle Shoals Sound Studios over the years.